Best clubs and nightlife in Athens: Stay in the center, in Kolonaki, Psirri, Monastiraki, Gazi. If it’s summer, stay in Glyfada or Vouliagmeni. 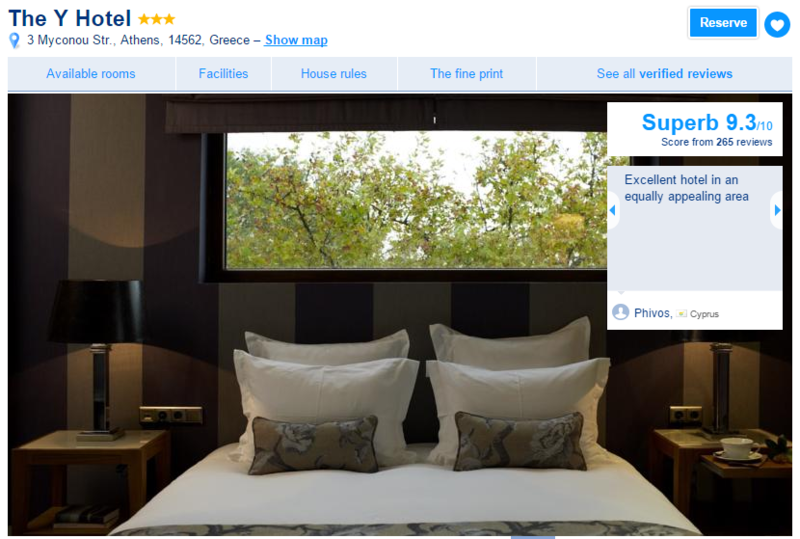 Most romantic: Stay in Lycabettus or in Koukaki area. Both areas offer an amazing view of Acropolis. 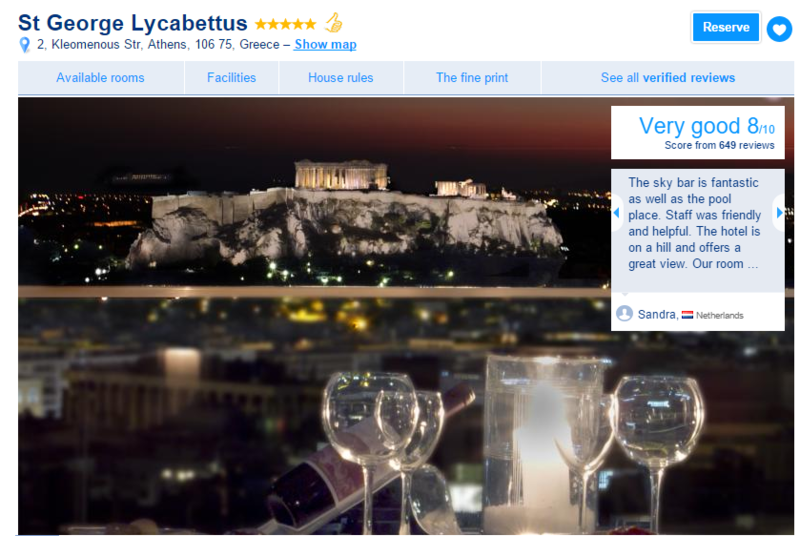 Best views of Acropolis: Stay in Lycabettus or in the center of Athens. Grande Bretagne is an excellent choice if you can afford it. 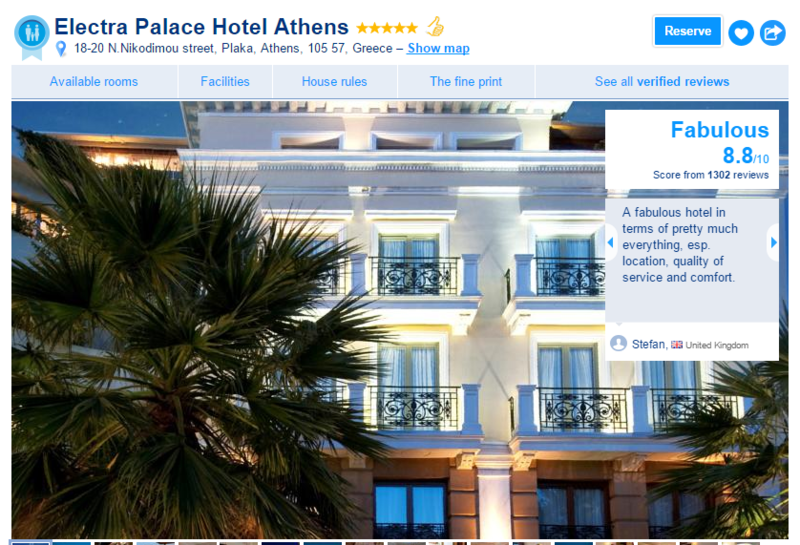 Electra Palace is another excellent and more budget-friendly choice. Best Area to stay in Athens for shopping: Kolonaki, Halandri, and Kifisia. Hilton (city center) and Divani Caravel (city center) are the most convenient. Best restaurants in Athens: Stay in the center: Kolonaki, Psirri, Gazi, Plaka. Hilton is next to a couple of excellent restaurants (i.e. “Koukouvaya” and very close to Kolonaki, which has some of the best restaurants in Athens. Best Athens Hotels for peace and families: Plaka, Kifisia, and Glyfada. 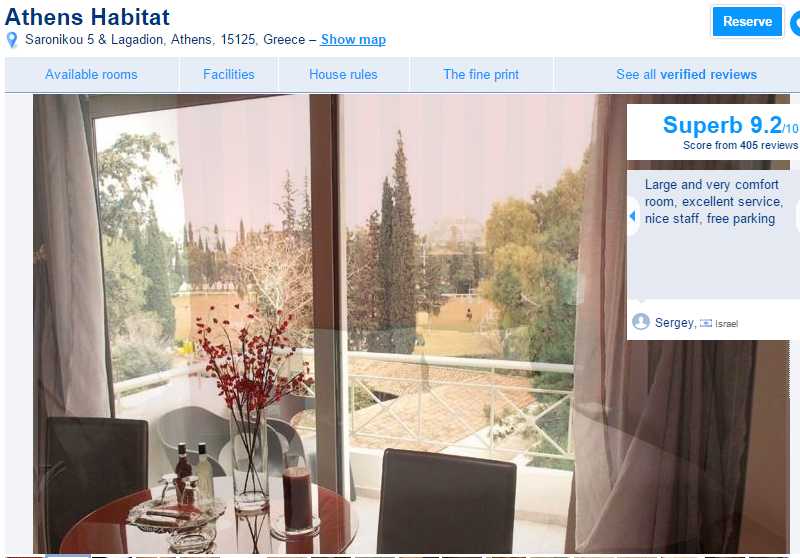 You could stay at Semiramis at Kifisia (Northern Suburbs). It is in a very peaceful and quiet area, which also has a lot of nice shops, cafes, and restaurants. It is in Kifisia, the posh area of Athens; however ,you will be away from the city center. 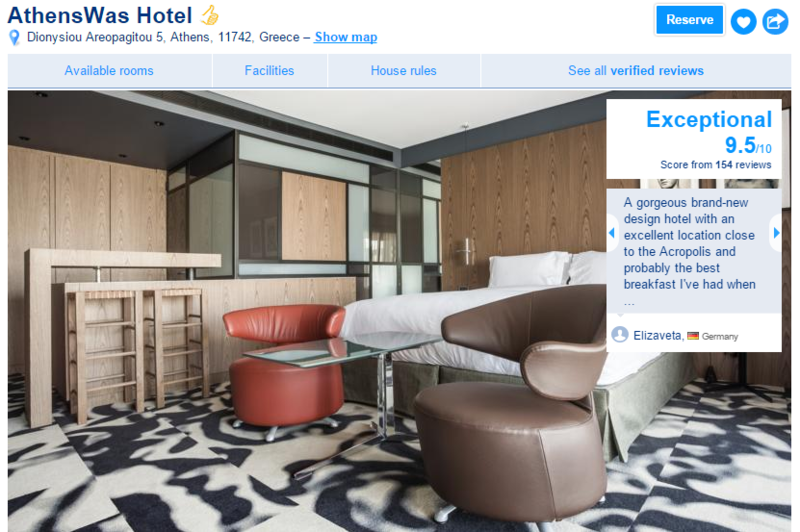 Best budget Hotels choice: Stay in Gazi or Exarheia. Airbnb has a lot of options too in these areas. Some of them are really nice (e.g. lofts at Gazi). From November to April, stay at Plaka, Psiri, Thiseio, Monastiraki or Gazi area. From May to October, you can also stay in Glyfada or Vouliagmeni to be closer to the beach. Avoid the Omonoia area. 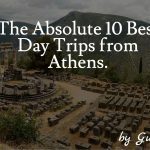 If you Plan to Visit Greece, you will most probably stop for 3 or more days in Athens, where you will be wondering what are the top things to do in Athens and what is the best area to stay in Athens to have the best possible experience. Athens is one of the biggest cities in Europe, with a population of 5 million inhabitants and features many different options for areas to stay at, depending on what you want to do during your stay in Greece’s capital. Traffic is also quite heavy, and although there is an underground network, it’s not that extended, so you should pay attention when choosing your hotel area. 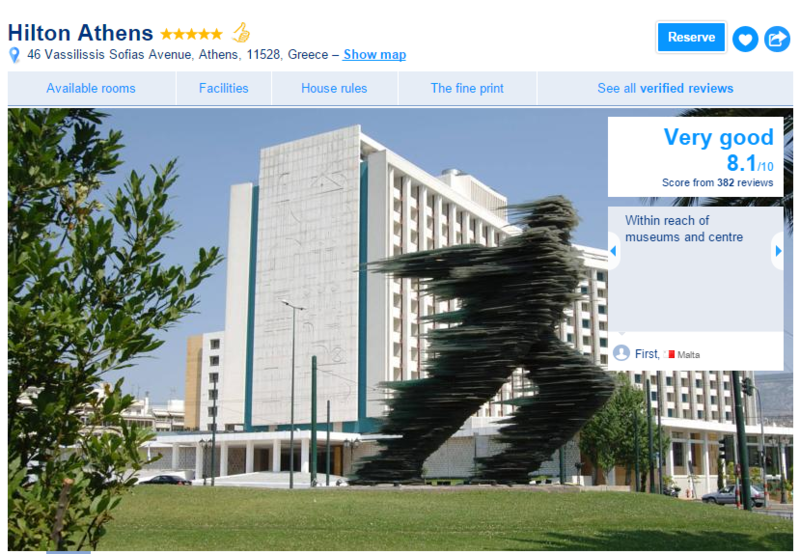 Don’t worry if you get confused on where to stay in Athens! We got you covered. Read below, to get a better understanding of the pros and cons of staying at the different areas of Athens. Information is based on criteria such as Hotel Prices, Proximity to the main attraction areas, Nightlife, Shopping Areas and Safety. 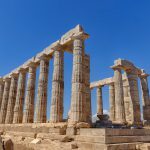 What is The Best Neighborhood to Stay in Athens? We often get asked, “What is the Best neighborhood to Stay in Athens?”. If you want the mainstream and quick answer, we would suggest Plaka, Kolonaki or Psiri. 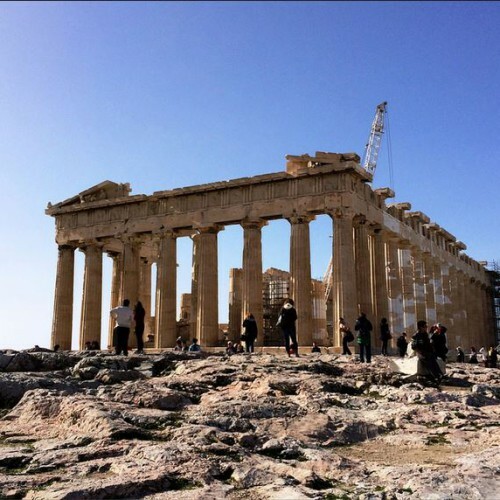 However, it is not that easy to choose the best area to stay in Athens, as you may want to combine your visit with different experiences, which would require for you to stay somewhere else. For example, if you are visiting Athens during the summer, you may want to remain in the Southern Suburbs, so that you are closer to the beach and the excellent Night Beach Clubs that Athens has to offer. Moreover, if you are a family wondering where to stay in Athens with Kids, you may choose a safer area, which is also more friendly to families such as Kifisia, in the Northern Suburbs. So, allow us to provide you with more information on where to stay in Athens, regarding the different areas to stay in Athens, with their advantages and disadvantages. In general, there are four main areas where you can stay in Athens. The first is the center of Athens, which features the main touristic places and has neighborhoods such as Syntagma, Plaka, Monastiraki, Kolonaki, Omonoia, Ilisia, Thiseio, Zografou, and others. The second one is the southern suburbs, which is the beachside of Athens, with neighborhoods such as Vouliagmeni, Alimos, Glyfada, Voula, Elliniko, Faliro, and others. The third area is “Piraeus,” where the biggest port of Greece lies. 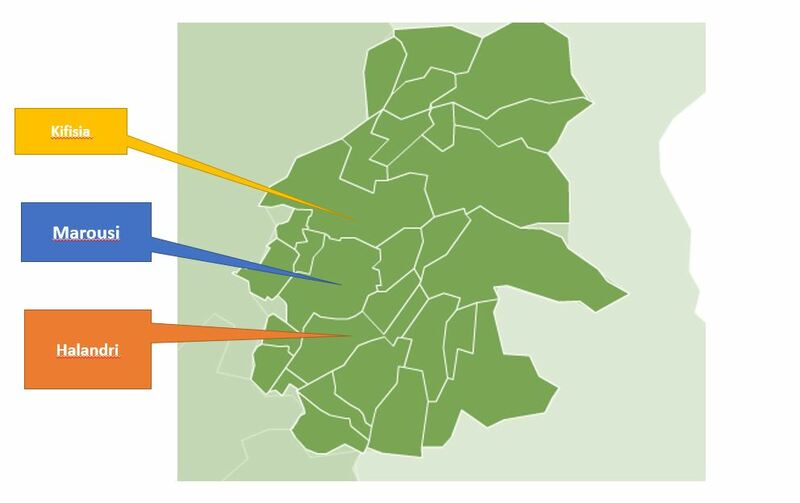 The fourth area is the North Suburbs of Athens, with neighborhoods such as Halandri, Marousi, Kifisia. 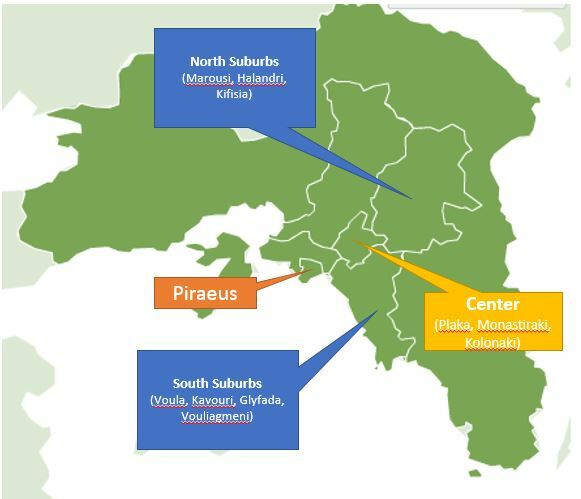 Below you can see a general map of Athens, featuring these four areas. We would not recommend staying in other sectors, e.g. on the west or east suburbs, as they tend to be quiet far from the main activities you will most probably pursue while you are in Athens and will not be convenient for your stay. 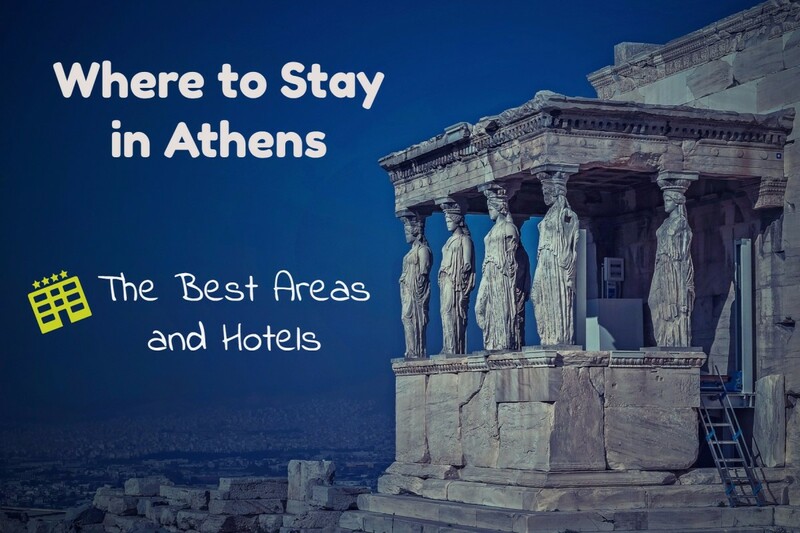 Now that you got a general idea of where to stay in Athens if you want to be in the main areas, let’s have a closer look at each one of them. Staying at the Center of Athens features quite many different areas, with each one pros and cons. Below, we have prepared a map which features the main areas that you can choose when staying at the center of Athens. The Commercial Area and Plaka, the Acropolis Area, Exarheia, Pedio Areos Area, the hill of Lycabettus, Kolonaki area, and Ilisia. If you choose to stay at the Commercial Area (or commercial triangle as it is called) and the area of Plaka, you will find yourself right in the heart of Athens. Plaka area is like a small village in the center of Athens. It is below the hill of Acropolis with old, traditional houses and many restaurants, cafes, monuments and things to do. Plaka is an excellent place to stay, as it is conveniently placed regarding museums, Acropolis, the underground station of Acropolis and the main shopping street of Athens, Ermou street. The prices are of course higher here, and you will not easily find a value for money hotel room. If you are planning for a budget of under 100E per night, you will find yourself in a standard type of room, which – on the other side- will be close to everything. This is also a safe area to stay. Psiri in Athens is also a nice neighborhood to stay if you want to stay near to the center of Athens. Psiri is full of bars and restaurants. Psiri used to be a very poor neighborhood in Athens, which got renovated and is now quite popular to the younger generation of Athenians. Even thought it was trendy and was visited by the hipsters of Athens a decade ago, it is now being snubbed by them. Acropolis is on a hill, so the whole Acropolis Area is quiet difficult to walk. Here, you will find hotels in an area that is called “Koukaki” and is 500 meters from Acropolis. 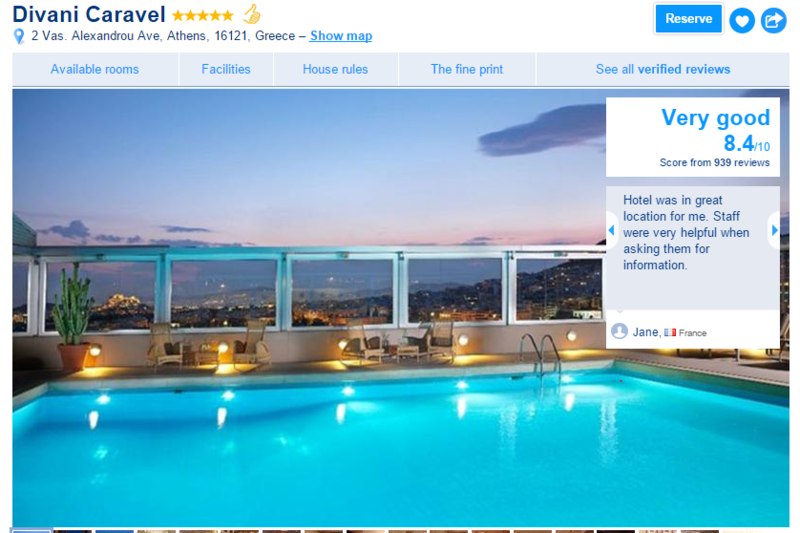 It is a safe area, and you might get a hotel with a view of Acropolis and Parthenon. This is not such a convenient place to stay at, not the same with staying in Plaka, as you will have to walk a lot (and usually uphill and downhill), to get to the other side of the hill, where all the action takes place. Exarheia area is very close to the center of Athens. This is the most alternative area of Athens. With a good and a bad sense. In Exarheia you will find the most alternative bars, restaurants, and people. On the other side, this is the most “revolutionary” part of Athens. Protests start from Exarheia, and you may find police giving fights with people belonging to the anarchist groups. It’s not easy to judge Exarheia. It has its character. You either love it or hate it. Exarheia is not the safest area of Athens to stay at. If you are young and wild, you may want to choose it for its feeling and to get a better sense of Athens. If you are a more conservative traveler, stay away from it. Lycabettus is a hill. The second hill of the center of Athens, which is on the opposite of Acropolis’ hill. It is very close to the posh area of Kolonaki. As it is on a hill, it offers a fantastic view of Athens, and it has some nice hotels, such as St George Lycabettus, which you will certainly enjoy. It is also a safe area to stay at. On the downside, you will still have to walk a lot (and uphill/downhill), it is not that close to the underground stations, so we would not recommend staying in this area. 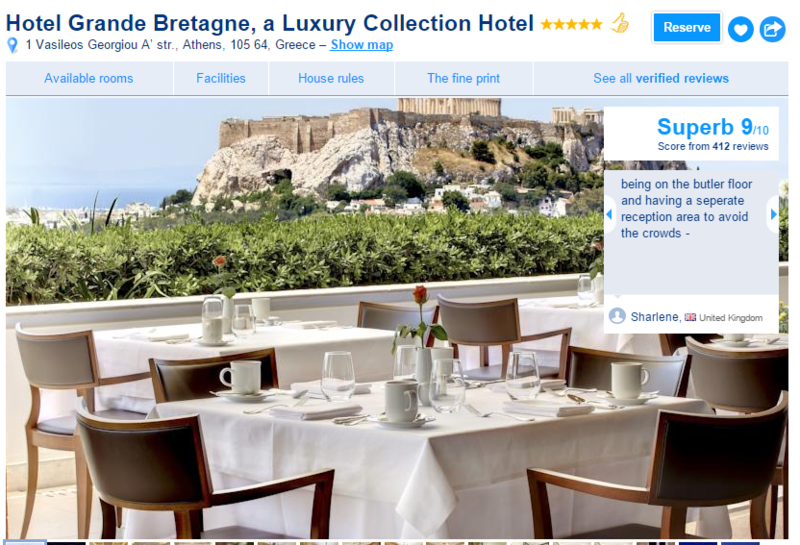 The best hotel to stay in Lycabettus is the Hotel St George Lycabettus. Kolonaki is the most expensive area of Athens. It is the main shopping center of Athens, with the most expensive streets, shops, restaurants, and bars. Although Greece is in crisis since 2010 and Kolonaki have lost some of its glam, especially visible in the first decade of 2000, it remains the “VIP” area of Athens. Kolonaki is an old area, so you will not find new hotels or new apartments to stay at. Kolonaki is a safe area to stay. It is 2kms away from Acropolis, so a 10E Taxi drive to there. The good thing about staying at Kolonaki is that during the evening you will find many bars and restaurants open and usually full of people. Moreover, it features many great shops from top brands, including Louis Vuitton, Armani, Prada, Boss, etc. You get the idea. Kolonaki doesn’t have any important museums or monuments to see. Still, it is a safe choice when choosing an area to stay at, if you want to explore the center of Athens and get some fun in the evening. St George Lycabettus is the best hotel in the Kolonaki area. You will not find many hotels to stay here. It is easier to find places from Airbnb (apartments). Please bear in mind that most buildings are very old here so that the apartments might be over 40-50 years old. Ilisia is also three km from the Acropolis hill and 3kms from Kolonaki area. Ilisia is the place where the biggest university of Greece lies, the University of Athens, which has 80.000 students. Moreover, it is close to the National Technical University of Athens, which has another 10.000 students. So, it is the area of Athens that is mostly inhabited by students and young people. Ilisia is split into two areas: Upper and Lower Ilisia, or “Ano Ilisia” and “Kato Ilisia” as it is called in Greek. The Lower Ilisia is on the foot of Ilisia’s hill and closer to the center of Athens and Kolonaki area. This is where Hilton hotel lies. The Upper Ilisia are on the hill, and we would not recommend staying there, as it is harder to walk and to get to other places. There is no underground station in Upper Ilisia. Lower Ilisia is closer to two underground stations, the one at the Concert Hall of Athens, and the underground station of “Evangelismos” which is close to Hilton hotel. This area is also safe, but it doesn’t have any monuments, important museums or other things to explore. 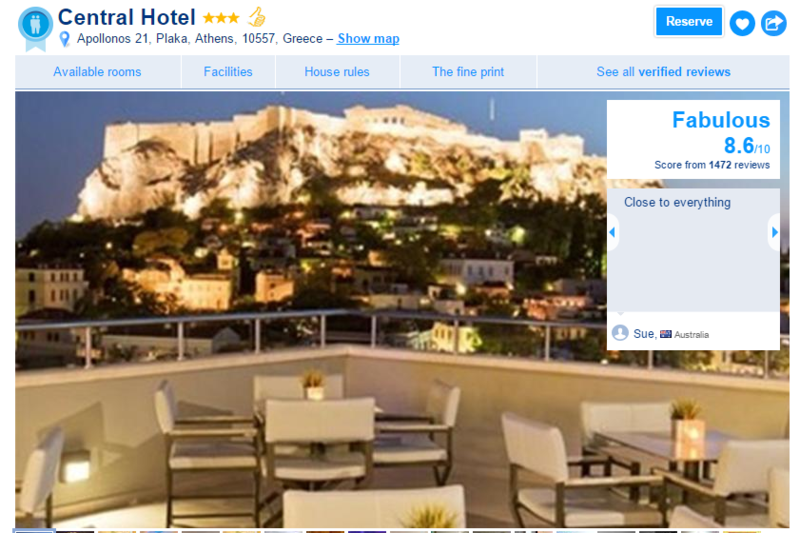 You can find better prices than staying at Plaka or Kolonaki. An area you should avoid to stay while you are in Athens is the area in the Omonoia square. It is probably the most dangerous area in Athens, with a lot of illegal activities, including drug dealing and prostitution and a lot of small burglary taking place. Let’s have a look now at the opportunities that the North Suburbs of Athens offer for your stay. 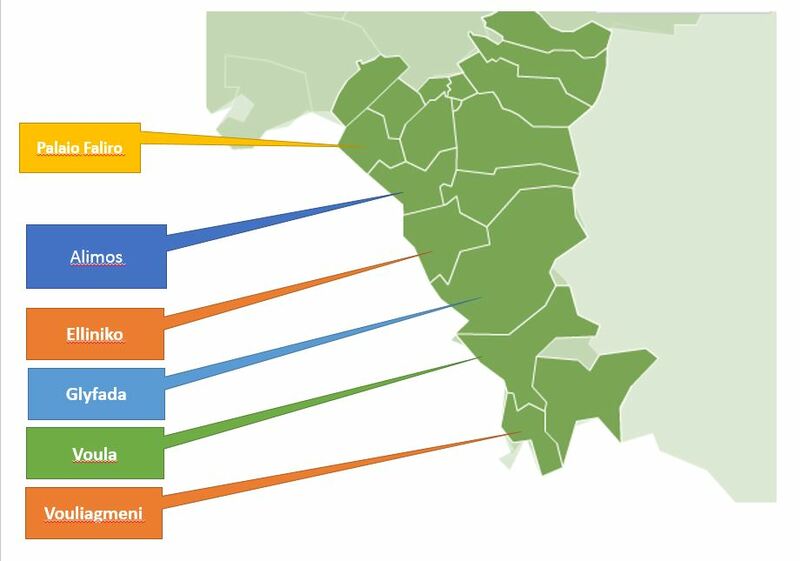 North Suburbs in general, are considered to be the areas where the upper middle class of Greeks remains at, especially in the rich areas of Kifisia, Ekali, and Dionysos. 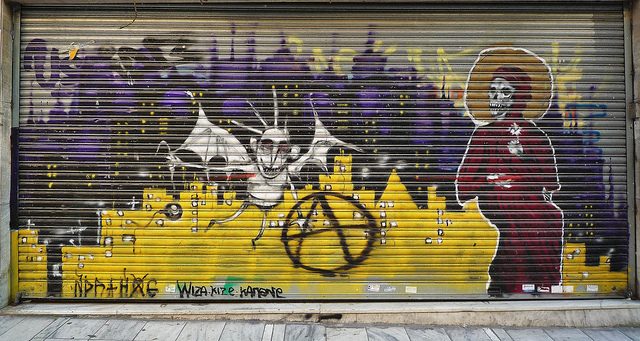 As you can imagine, the inhabitants of these areas of Athens, worry the least about the capital controls in Greece! They don’t feature museums, ancient sights or anything touristic. Here, you will find three many areas with hotels: Halandri, Marousi, and Kifisia. Halandri is a great northern suburb of Athens. It’s full of restaurants, bars and is very safe. It is a very vivid place, and it’s much “happier” to hang around when compared e.g. to Marousi. It has an underground station, but it is not that close to the center of Halandri. 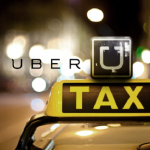 If you take a taxi from here to the heart of Athens, so as to visit the more touristic areas, you will have to pay around 15 to 20 euros, and it is a 30-minute drive, with all the traffic of Athens. Marousi is the business center of Athens. All the big multinational companies and the biggest Greek companies, such as the National Telecommunications Company, have their offices here. Marousi is a safe area to stay at. However, it doesn’t offer too much other than that. It has a beautiful central square with cafes and restaurants, and it has the electric train of Athens passing from its center. You will need around 40 minutes with the train to reach the center of Athens. Marousi is around 12 km away from Acropolis. You can find cheaper hotels to stay, but you will pay the price of having to move all the time with the train or a taxi towards the center of Athens. If you choose to stay here, get a cab and go out at Halandri or Nea Erythraia in the evening, as Marousi is quieter when it comes to nightlife. Kifisia is a posh area of Athens. It is on the same level (if not even higher) with Kolonaki area. Here you will find many villas from some of the richest Greeks, a great shopping center with expensive jewelry, clothes and shoes, fantastic restaurants and posh nightclubs. Kifisia’s best areas are the Kefalari Square – where you can find some nice hotels to stay at and the center of Kifisia, where its shopping center exists. Be careful not to stay at Nea Kifisia, which is a new area that is close to the national road of Athens and doesn’t offer many things to do. 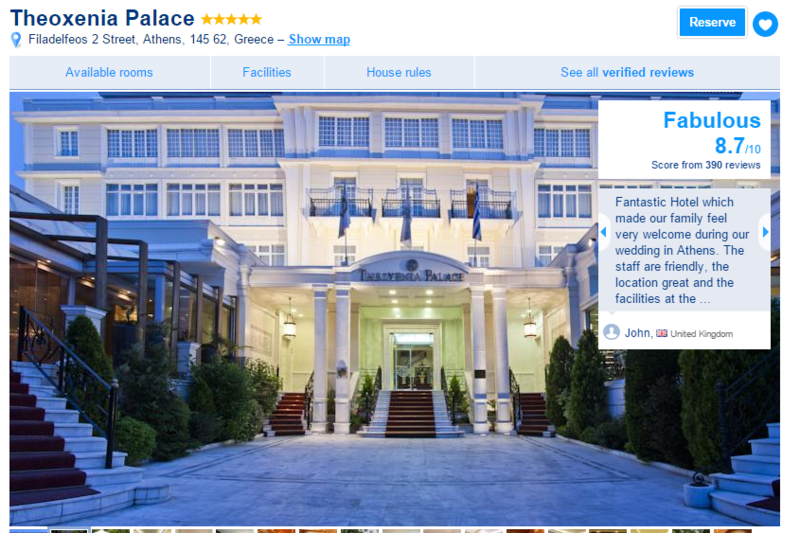 The hotels in Kifisia are quite expensive. If you choose to stay here, you will have only the choice of the electric train to get to the center of Athens, in around 45 minutes. There is no underground station in Kifisia. It is a safe area to stay at. Piraeus is the second biggest town in the prefecture of Athens, after ..well, Athens. 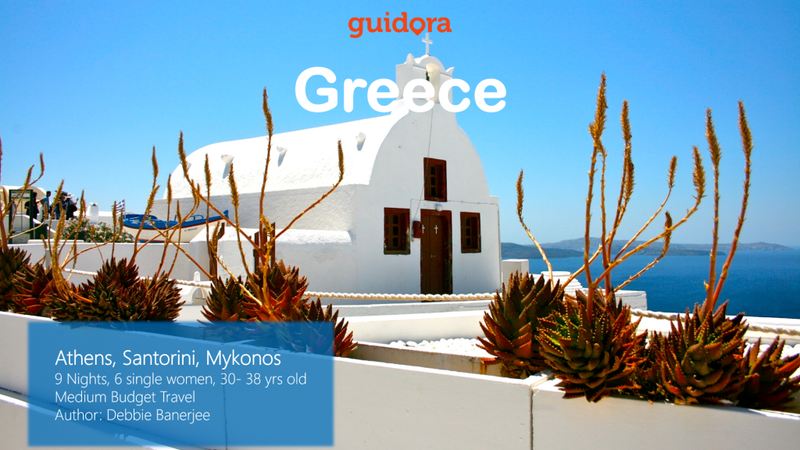 It is home to the famous team of “Olympiacos” and has the largest port in Greece and one of the biggest in Europe. Piraeus is on the beach of Athens. However, you cannot swim here, as the water is polluted. You will find many restaurants with excellent sea view (“Ahinos” restaurant is one of them for example) and quite a few hotels. The good thing about staying at Piraeus is that if you are planning to get a boat to any Greek island, you will be only 10 minutes away from the port. Boats to every Greek island, even the best kept secret Greek islands, leave from Piraeus’ port. Piraeus is not close to the center of Athens, so you will need at least 30 minutes to get there. It has an electric train but no underground stations. 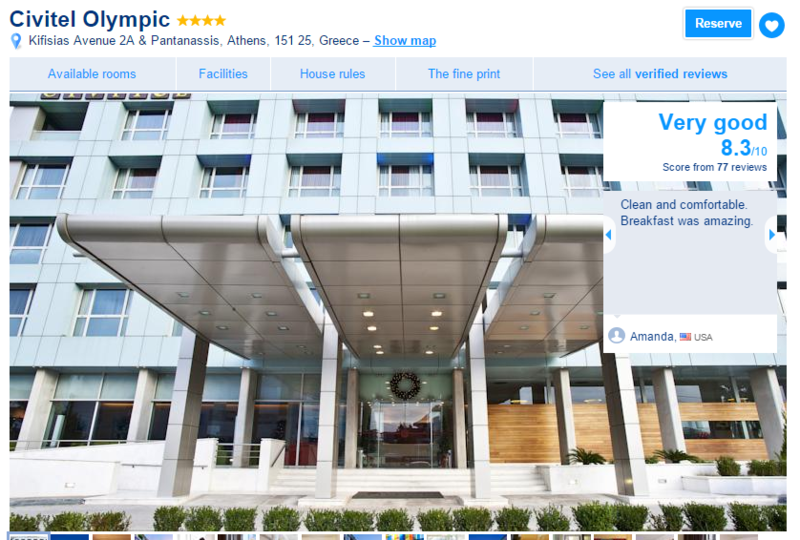 The prices of hotels are lower than the ones in the center of Athens. One of the best areas of Piraeus is called “Kastela,” and it is the hill that overlooks a beautiful beach area of Piraeus. Let’s have a look at the South Suburbs of Athens. The South Suburbs of Athens offer you the opportunity to be next to the beaches of Athens, and you will find it easy to swim at one them. 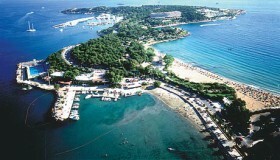 The main hotel areas are the neighborhoods of Palaio Faliro, Alimos, Elliniko, Glyfada, Voula, and Vouliagmeni. We will not get into much detail about each area in the Southern Suburbs of Athens. First of all, let us tell you that these are better places to stay at if you are looking into enjoying the beach, so you may not want to stay here from November to April, in the heart of the Greek winter. The most convenient time to swim at the beaches of Athens is from June to late September. Sometimes May is a beautiful month too, or October can prove to be quite hot as well. – Best Beaches: The best beach is in Vouliagmeni and is called “Asteras Vouliagmenis.” It is a private beach, and you will have to pay 17 euros per person from Monday to Friday and 25E per person on the weekends to swim there. Voula and Vouliagmeni also have lovely beaches. The farther you go from the center of Athens, the better the beaches get. It’s not nice to swim at Palaio Faliro or Elliniko – or at least we don’t like it that much. 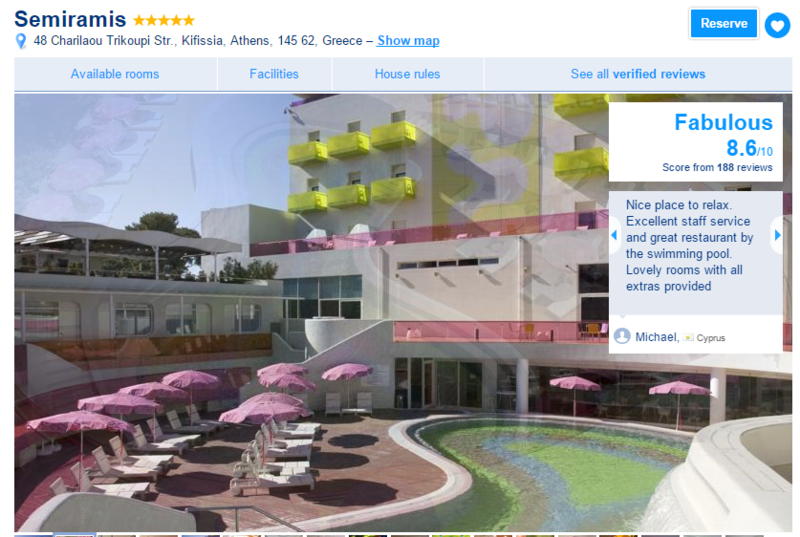 – Best Overall Area: Glyfada is the best overall area. It has the best shopping center in the south, the best night clubs, restaurants and easy going style. It also features many hotels. The downside of Athens is that it doesn’t have an underground station. 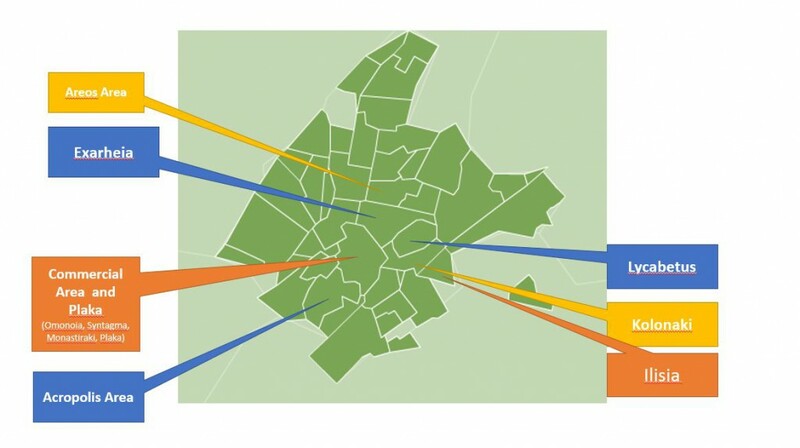 – Best Access to the Center of Athens: Elliniko, Alimos, and Palaio Faliro have the best access to the center of Athens. Elliniko and Alimos have underground stations which will get you easily to the center of Athens. If you stay at Glyfada, you will have to get to Elliniko and get the metro from there. Like every town in the world, Athens has some areas that you should better avoid either due to security reasons or due to difficult access to everything that the city has to offer. The areas that we suggest that you avoid Omonoia Square in the center of Athens, the whole sector close to the main train station of Athens called “Larissis Station”, the Patisiwn street area and the Metaxourgeio area, even though the latter one has been upgraded during the last years and offers some gourmet restaurants. So, that’s all regarding where to stay in Athens. We hope you got an excellent overview. If you are planning to visit Greece, you may also want to consider one of our travel guides to Greece. Have a look below!